Read the article to learn more about how to get involved in this amazing event! 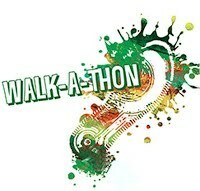 Click here to learn more about how to participate in Green Woods Charter inaugural "Miles for Marlee Rae" Walk-A-Thon. We are looking for volunteers to help us make this event successful. Please Follow this link to sign-up to help! Attire: Gym uniform pants and sneakers required. Students may wear Marlee gear or a Gray t-shirt (Gray is the color that represents Brain Cancer). Participants: ALL students, regardless of donations, will participate unless they have a medical condition or a doctor’s note. 9:00 - Grades K-2 reports to the rain garden. Grades 3-8 returns to classrooms. Students who raise $50 will get a T-shirt at a later date. Parents are welcome to cheer their kids on! A Marlee table will be set up the day of walk to purchase gear.